I swear I’m not trying to permanently move my workout recaps to Monday mornings! It’s just working out this way right now! I saved my workout recap for today mostly because I ended up running yesterday instead of Saturday. I never run on Sunday’s which usually makes a Sunday workout recap post possible but since I did run yesterday, holding off for today made more sense. 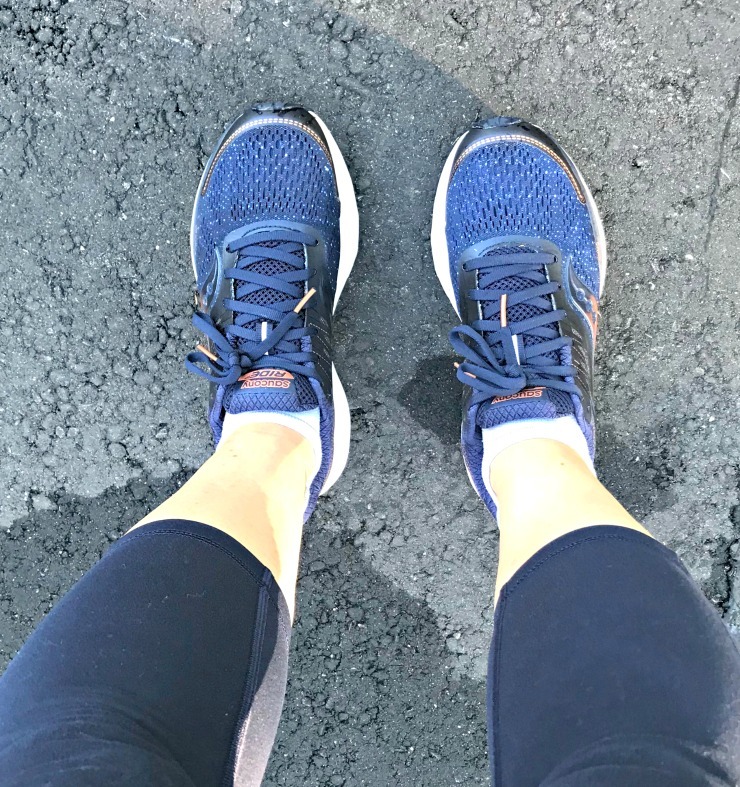 Anyway, this week featured less miles, a Sunday run, and a few great Pure Barre workouts. Less miles happened because at the start of the week, the top of my right foot felt a little bit weird. I realize that saying “a little bit weird” doesn’t describe the feeling very well but I can’t really figure out what else to say. My foot just felt a little weak or something to that effect and I believe it was from wearing/walking in sandals all weekend. Actually, I think it can always be the cumulative affect of wearing sandals so much all summer. Not really sure! Regardless, I am NUTS about my feet and if I feel ANYTHING, I am not running. If you asked my discomfort level on a scale of 1 – 10, it was at a 1 and I was totally fine by Tuesday evening. I know I may sound a little ridiculous but it can’t ever hurt to be a little too cautious. It can however hurt if you run on something that bothers you and then cause yourself an injury! Sort of like dropping that shampoo bottle on my foot – it didn’t even hurt but it was bruised and the doctor said it was best NOT to run on it as to NOT cause an injury as the area was experiencing discomfort even if I didn’t really feel it. I really do believe it’s best to cautious of any weird feelings or discomforts so that they go away quickly rather than be stubborn, run on something that may bother you and then actually hurt yourself. There was a chance of downpours at any second so I headed over to the gym. Not in the mood for the treadmill (which I realized once I walked in), I opted for the elliptical. I can’t remember if my foot felt weird at this point yet. Just making note of that. It might have, but not really. My foot felt a little weird so I opted for the elliptical rather than put pressure on it with running. Then I chose my favorite 10 min Pure Barre workout: Seat & Abs. It’s been my favorite 10 minute Pure Barre workout for years now! My foot felt all better today! Also! I chose to rotate my running shoes for the first time in a while. I figured that it was possible my feet could use the switch and this run felt really nice. 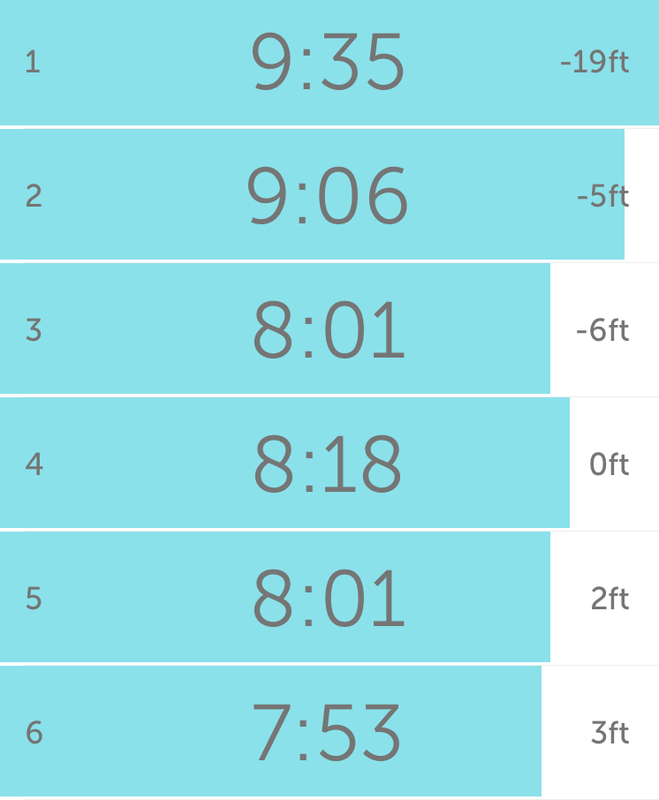 I ran outside (humidity felt lower) and got so lost in the miles that when it said I hit 5 miles, I had thought I was only at 4 – quite a surprise! 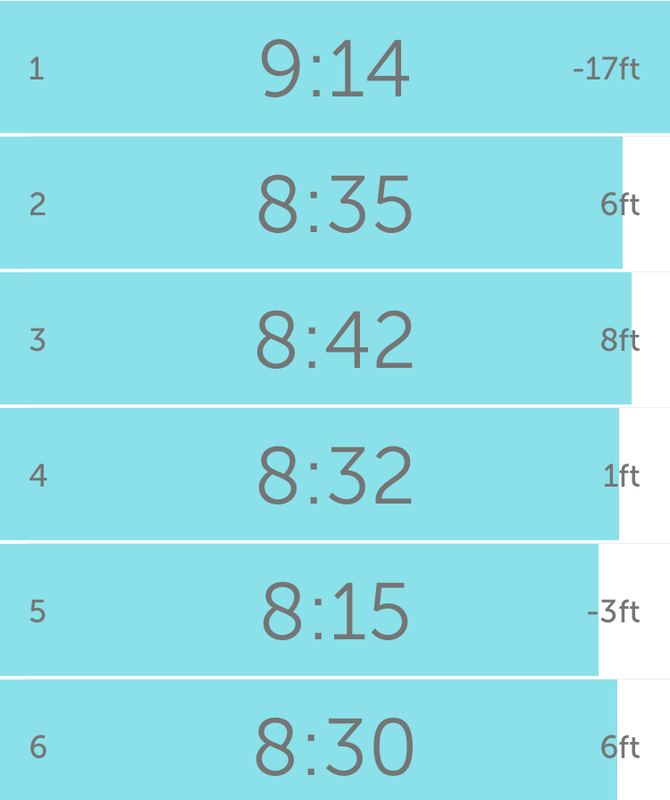 I don’t glance at my pace or distance or anything, I just let Runkeeper chime in every mile so I really had no idea. I was too busy listening to music I guess to pay much attention! So as you can sense, this run went by really quickly. One of my favorites because it’s super challenging! It was so humid outside that 30 minutes of running was more than enough. I had time though so I continued with a walk until I was ready to go home. In all honesty, I had my hair blown out yesterday which meant I couldn’t sweat it up with a run this morning. So, I swapped my weekend workout routine around so that I would run tomorrow and preserve my hair for one more day. I chose a new 30 minute Pure Barre workout (which was so good! new exercises and pretty challenging!) and then headed outside for a walk. I think I was outside for an hour. It wasn’t raining but looked like rain (story of our life here in NY lately) and was humid but not too humid. I had no plan for distance or anything today so somehow I ended up with 6 miles and some effort thrown in. The weather is looking much better for this week with sun and lower humidity! I figure I will run this morning even though I ran yesterday and then figure out my routine for the rest of the week as I go. 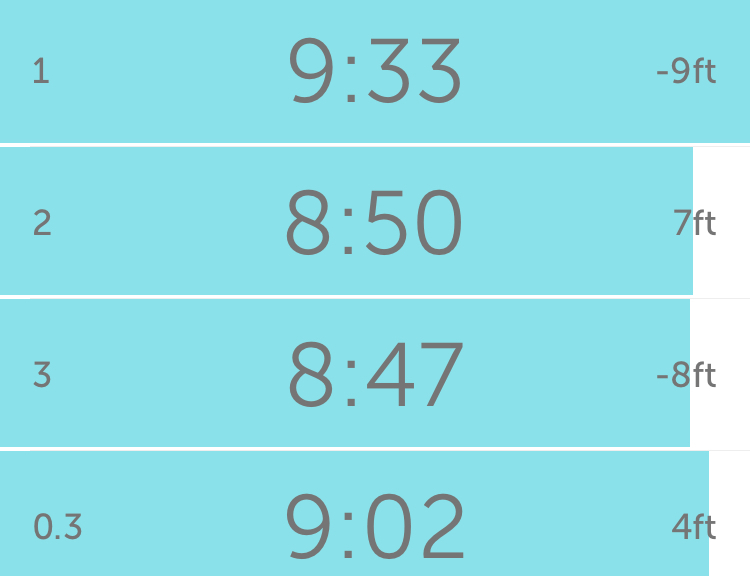 I don’t think yesterday’s run should throw me off much at all even though I am used to NOT running a Sunday. We shall see. Have a great week! How were your workouts last week? Did the weather throw you off schedule at all? What’s on your workout agenda for today? Pink is My Color + Target Bag Finds! I think the best thing I ate this weekend was McDonald’s french fries the morning after a late night out with drinking involved. Sometimes you just need it haha. Whenever there’s anything in my legs, I’m always cautious with running. Better to take a day or two off then risk an injury! It’s smart of you to take time off after an injury, even if it’s just a small injury. You definitely don’t want to make it worse! The best thing I ate this weekend was a pulled pork sandwich with some french fries. It was so delicious. For once the weather didn’t throw off my workouts! Glad to hear that your foot is feeling better, I’ve had those weird little things happen to me as well. The weather here last week definitely threw off my workout schedule, and this week looks like it’ll be the same. 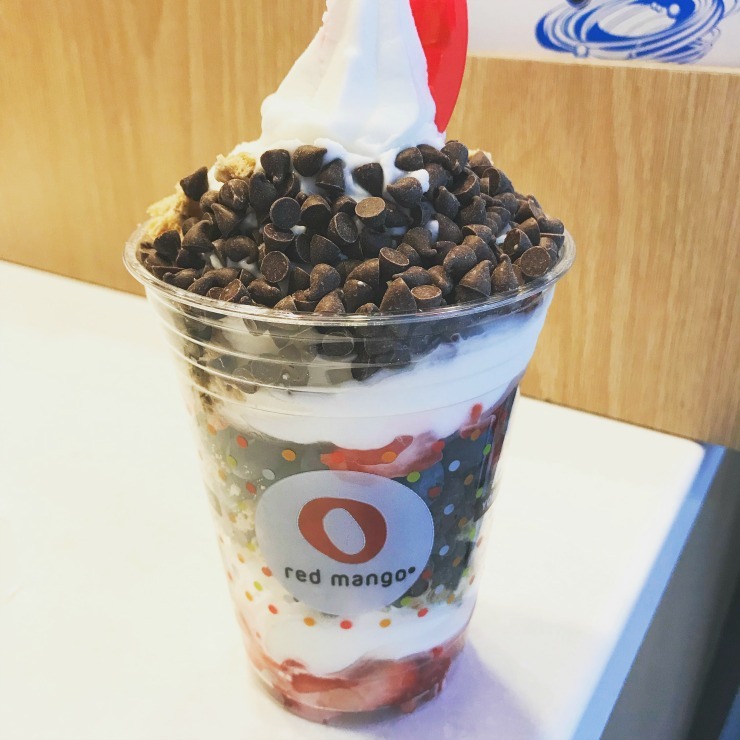 Best thing I ate this week was some chocolate ice cream – I rarely ever have it, so I really savored it! I thought that I would be moving my run to Sunday due to the weather but I ended up being able to run on Saturday. I feel like when I run on Sunday then the whole next week gets thrown off! Not sure if my comment went through…it disappeared! I thought I would have to move my run to Sunday this week but the weather was decent enough on Saturday to run. It always throws me off for the next week when I run on Sunday! You definitely have more miles than me this week! I was in the middle of training for the St. George marathon when out of nowhere the middle of my left foot hurt like the dickens. I rested it for 3 days and tried to run on it with the same result. It was a stress fracture in my 3rd metatarsal 🙁 So, it’s been 4 1/2 weeks since I’ve ran but biking has been kind of fun and at least it’s keeping my cardio/heart rate up.